Authors have different ways to solicit feedback. Some prefer a more collaborative approach, where they use critique partners during the drafting process. Others prefer to draft in solitude, then share a nearly completed version. Either way: You’re still in need of a set of eyes to find the issues in your manuscript. Today, we’re going to talk about how to find beta readers and critique partners. First, why are betas and CPs so important? Mostly because this feedback comes during the editing or drafting stage. If you’ve ever had a boss ask you to rework an entire presentation the night before the big meeting, you know timing is crucial. Likewise, if you seek heavy feedback too late in the editing process, you may be recalcitrant to make the changes. The beta stage, therefore, is a crucial step. It’s the place where you’re “open for comments” and willing, ready, and able to incorporate them. Even if it means chopping large chunks of your manuscript, and rewriting others. For that should be the role of your betas/CPs. Unlike a line editor, who searched for grammatical issues and typos, or a QA reader, who finds those all-important final quality issues, your betas should be looking at the text as a reader would. This is also the job of a content editor, if you so choose to go that route. 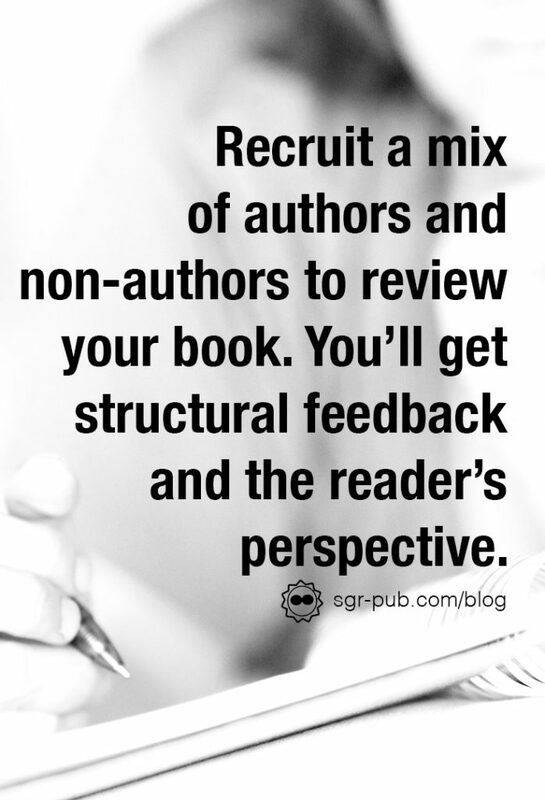 When looking for help on your manuscript, you should start with your existing network. Do you have any fellow author friends? Readers or fans? Bookworm friends? All of the above make excellent beta readers–for different reasons. Your author friends will be able to lend a critical, structural eye to your work. They will undoubtably be the harshest of your beta readers, but also the most willing to offer creative solutions. It’s generally a good idea to enlist one or two of these eagle-eyed critiques. Your readers or fans probably won’t be as focused on mechanical issues. However, they will be able to provide a reader’s perspective. They may also just come back with, “I loved it!” In which case, they serve as an ego-booster. As every author knows, these are important to keep morale high and the process going. Also, these folks are great for reviewing subsequent books in a series for continuity. If you don’t have any author friends or reader fans, then your bookworm friends are also good to review your book. But be wary: Sometimes they may overlook issues that other readers may not. An independent set of eyes is always critical. Another great way to locate beta readers is to join writing groups, or author support groups on Facebook. We chatted about this a few weeks ago. There are thousands of writer-focused groups, some even specific to your genre. There, you’ll undoubtably find more of the author-type readers. They may ask you to beta read their in return, or barter some other kind of help. Either way, pay it forward always. If all else fails, or if you want a little extra assurance, you can always seek out paid beta readers. Note, however, that a paid beta read is not the same as a content editor. A beta reader generally won’t leave detailed comments in the text, nor will they be on the hook to offer solutions for the issues they bring up. An editor, on the other hand, will do all of that. With that in mind, keep an eye on your costs and your current skill level. For example, while we offer beta reading services, usually we only accept beta reads from authors with a little experience under their belt. Instead, we’ll suggest a content edit, where we can deep dive into the manuscript and really give you the bang for your buck.